You can find this 2014 GMC Sierra 1500 SLT and many others like it at Adam Rue Auto Sales. Pull up in the vehicle and the valet will want to parked on the front row. This GMC Sierra 1500 is the vehicle others dream to own. Don't miss your chance to make it your new ride. Want to brave the road less traveled? You'll have the 4WD capabilities to do it with this vehicle. This is the one. Just what you've been looking for. More information about the 2014 GMC Sierra 1500: The redesigned 2014 GMC Sierra 1500 lineup comprises a set of pickups aimed at a wide range of uses from personal transportation to purpose-built tow rigs, farm or ranch haulers, or off-road machines. With three cab styles, two bed lengths, three engines, 2WD and 4WD versions and various trim levels from spartan to lavish, the Sierra lineup offers something for all. Top-of-the-line Denali models remain the choice of more discerning (and affluent) truck shoppers, with luxurious interiors and the full set of features of a premium SUV. The Sierra is significantly quieter than last year's models, as well as most other trucks in its class, thanks to a host of new sound-deadening additions like triple-sealed doors and new aerodynamic measures. The Sierra's engines are stronger yet more fuel-efficient than before, while also more refined. GM boasts that models with the V6 have towing ratings of up to 7,600 pounds, which is hundreds of pounds more than a comparable Ford F-150 or Ram 1500. Also, the Silverado 1500 might have some of the lowest maintenance costs among pickups because of its 4-wheel disc brakes with Duralife rotors, which GM claims will last twice as long as conventional brake rotors. 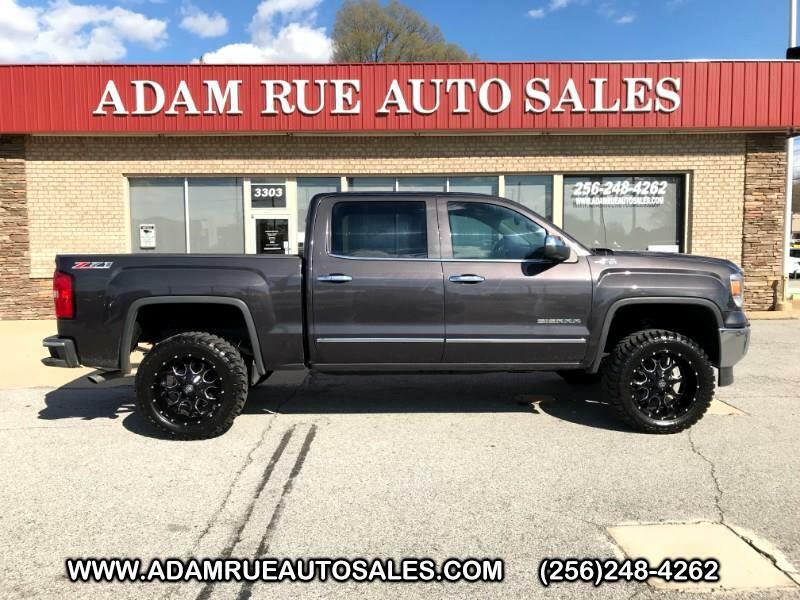 Strengths of this model include Strong, efficient engines, quiet, stylish cabins, innovative cargo solutions, and upgraded connectivity and entertainment systems Thank you for considering Adam Rue Auto Sales! We are proud you are here. Our dealership is focused on making your buying experience as pleasurable as possible. We understand how difficult it can be finding the perfect vehicle. Our staff has been in this business many years and are trained to be professional and courteous while assisting you. After all, you are the reason we are here. We want to be a little different than what you will find down the street. We stock quality vehicles and look forward to treating you like family.